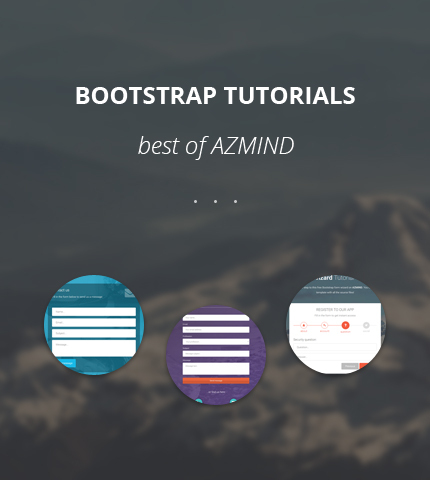 Over the past months I’ve released many Bootstrap tutorials here on Azmind for various user levels, from beginners to more advanced. 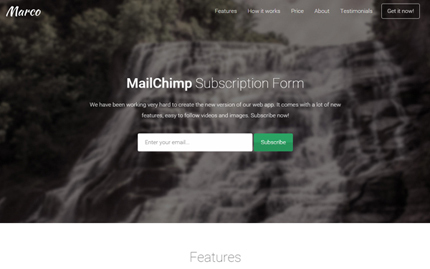 I’ve explained step by step how to do certain things with this framework, like for example, how to create a contact form, or how to modify a certain section of a free Bootstrap theme, etc. So, I decided to create this page that will serve as a main hub for my past and future Bootstrap tutorials, making it easier to find them for those who want to learn how to use this framework. 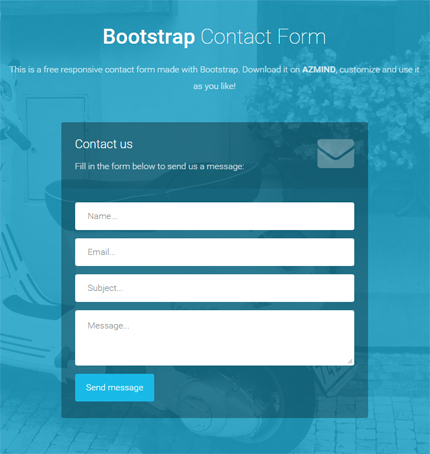 In this tutorial you can learn how to create a Bootstrap contact form using PHP, jQuery and AJAX (and also HTML5 & CSS3). Our form will have 3 input fields: Email (the sender’s email), Subject (the subject of the message) and Message (the text of the message). It will also have an antispam question, to prevent spam messages, and another input field where the user can enter his answer. In the end, you can download all the source files and use them in your projects. Click on the image below to open the tutorial. 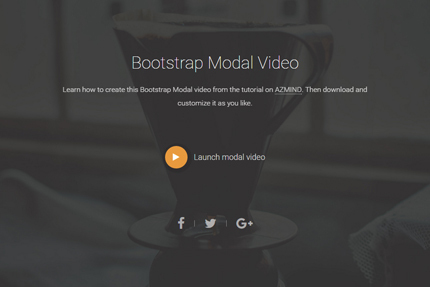 Here you will learn how to easily create a Modal video, also known as “Pop-up video”, that appears when the user clicks on a specific button or link inside your web page. 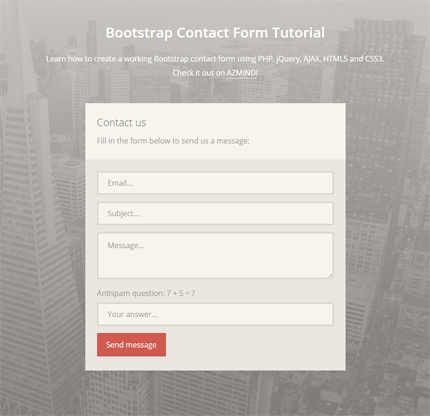 A quick tutorial where I explain how to add a new field to these Bootstrap contact forms. 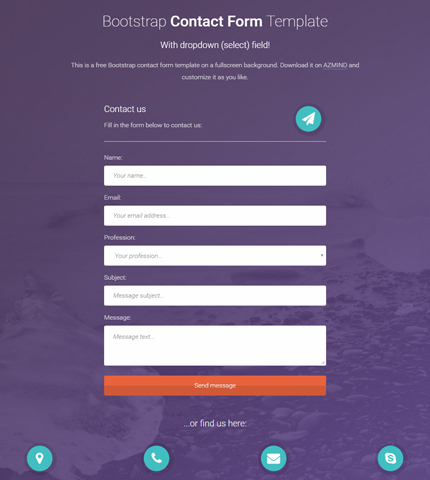 A simple tutorial where I explain step by step how to add a dropdown / select field to this Bootstrap contact form. 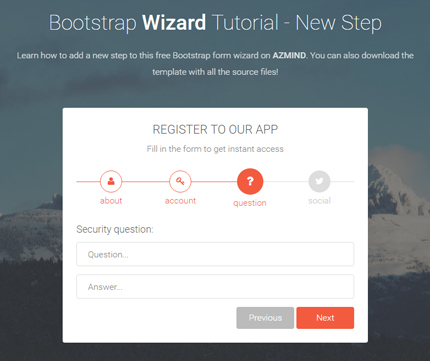 If you have used this Bootstrap form wizard template in the past, or are planning to use it in your future projects, this tutorial might help you. Here you’ll learn how to add a new step to the form. 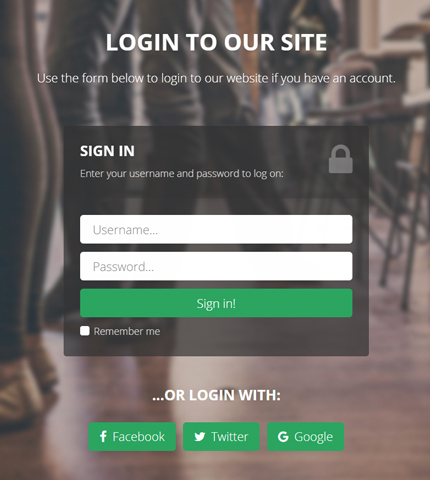 In this tutorial you’ll learn how to create a Login Page with form validation and fullscreen background, and add it to a Bootstrap template. 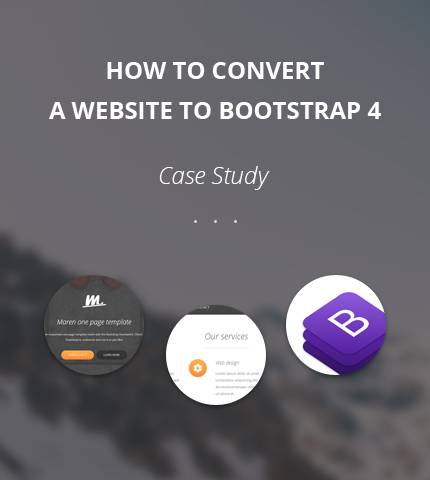 Learn how to convert or migrate your website from Bootstrap 3 to the new version 4 with this step by step tutorial. 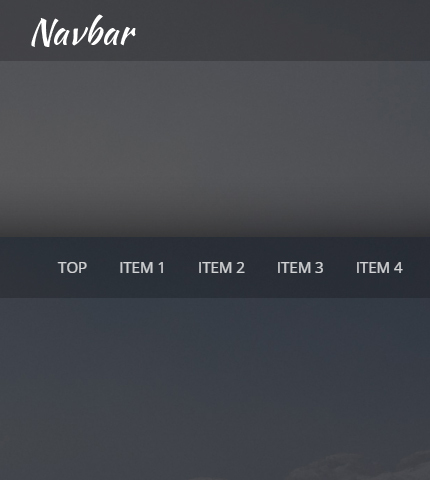 Learn how to quickly create a simple and functional Top Navigation Bar in Bootstrap 4 with this tutorial. Learn how to create a Single Page Website using Bootstrap 4 with this step by step tutorial. The site can be used for a small business, services company, portfolio, etc. 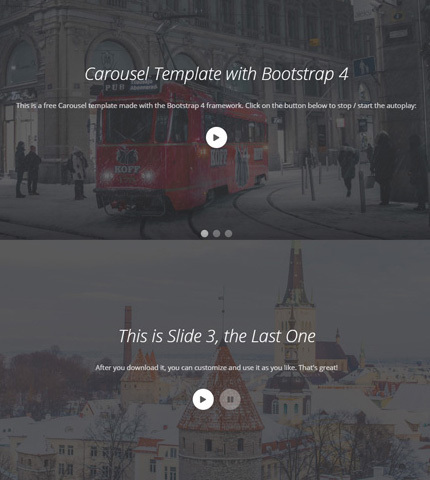 In this tutorial we’ll see how to stop or disable the Autoplay function on a Bootstrap carousel. This is a nice feature to have, but in certain situations you might not want it. 12. Bootstrap 4 Carousel with Multiple Items: How To Create It? 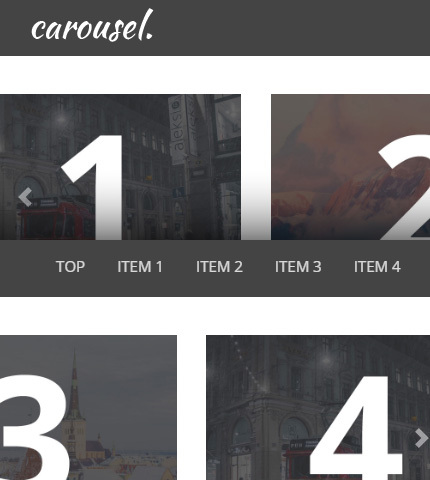 Here you’ll learn how to create a responsive Bootstrap 4 Carousel with Multiple Items / Slides. 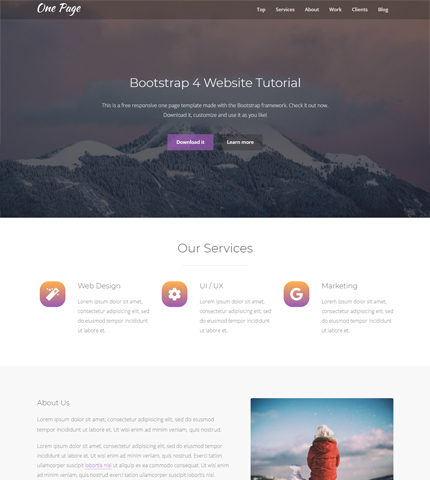 By BitDegree, this Bootstrap tutorial will teach you how to use Bootstrap 4, what is Bootstrap CDN, how to add it to your project and the main components of this framework.